Evolution of the Internet, browsers and file size. When you look through the Customer Photos pages, you may notice that the more recent submissions are larger and better quality than older photos. This is because we were very concerned about page size when we started. The rule was that page size should not be more than 40KB, including photos. Recent photos run from 50KB to 90KB. I would like to re-scan photos of earlier submissions to increase quality/size. I can do this where I have actual photos, but not when they were sent electronically. If you have submitted photos in the past and would like to resubmit or add to them, I will do my best to give a better presentation. The Gathering: The discussion has died down, but we hear about a lot of preparation for attending. At least 4 more have committed... What about you? 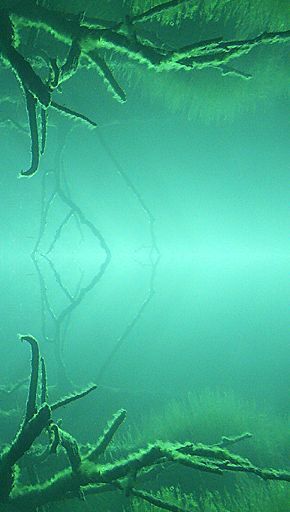 Pretty picture found in photos from KH. As always, thanks to those who have made this WebLetter possible... and where is your story? I have talked to several builders who seem anxious to share their experiences and... nothing. Sometimes I think that since time has passed they feel it is too late to submit. Boatbuilding stories do not go out of style. Other builders find your stories and photos helpful. One picture can contain insight to help a builder over a hard spot. One word can inspire an "aha" moment. Be part of the community, contribute your experiences. If you have been reading the Newsletter or the Boatbuilder Forum, you are aware that some of the fun-loving Glen-L boat builders are planning a Gathering this October. Not that they aren't friendly or are just cantankerous old boogers (well, maybe), they really are two of my favorite people, it's just that this isn't something that Glen-L "normally does". So, I was having dinner a couple months ago with my sister-in-law Anke (Barry's wife) and we were talking about it and she said, "I think it would be fun—we should go". Well, I guess just being the lowly sister doesn't mean doody, but if wifey says we should go, we go! All that to say… Barry and I will be attending the Gathering along with our spouses!!! Woo Hoo! I'm so excited to meet you all and see your beautiful boats. I can hardly wait! My name is Alan Bates, and I live in Brisbane, Australia. In the early 70's (as an 8-year old) I helped Dad build a 12' plywood boat underneath the family home. I had some fantastic memories of that time, and the great fun we had fishing in that boat while I was growing up. So, while holidaying in a beach front apartment at Noosa (Queensland, Australia) with my family in Easter 2006, I thought, "Wouldn't it be great to build a wooden boat with Dad!" When I got home I called Dad (now 82 yr old) and asked if he wanted to join in the project. The reply was an immediate and resounding, "Yes"! 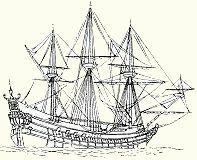 After searching the Net for the 'perfect' design (well the one that matched my vision of the 'perfect' boat), I found Glen-L, and the design for the 'Malahini'. I was in love! It had all of the curves and lines that I was after. I ordered the plans and your excellent books "Boat building with Plywood", and "How to Fiberglass", and started getting ready. Construction commenced in July, 2006. The frames were marked, cut and assembled over a couple of weekends, and I took 2 weeks holidays with the aim of building the hull in one go, to really move things along. The aim was to have the boat ready for the following Easter holiday at Noosa in April, 2007. The other good reason to hurry up was that I had convinced my wife that her car had to stay out on the driveway for the duration of the project, so the Malahini could be built under cover in the garage. It was a beautiful day in the mountains of California. Clear blue sky, sparkling lake and the sound of seagulls flying above. Add to that the aroma of varnish as the warm sun bakes the classic finish of more than 50 antique boats…Chris-Craft, Garwood, Century, Tollycraft, Thompson, to name a few. What made the day especially memorable was seeing four Glen-L designs that fit right in. This was the scene at the recent Antique & Classic Wooden Boat Show at Lake Arrowhead California, June 1st - 3rd. My husband John and I attended this event and I was overwhelmed… I've seen plenty of boats before, but this was history before my very own eyes. And, the fact that my father's designs as well as Ken's were represented along with all these "greats" was just… well, it left me teary eyed and in awe. What a treat to meet Esley Cowman from Laguna Beach California who built a Glen-L Monaco that took its rightful place among all the classics. And James & Jim Ibbotson's Mist Miss with aqua hull, mahogany deck and wood-framed windshield stood proud along with the Glen-L catalog displayed on the front seat…thanks for that Jim, as well and for letting me know about the show—I sure appreciate it. We also had the pleasure of meeting Jim Kirkpatrick who built Ken Hankinson's Tahoe 23 and were wowed by this incredible work of art. Seriously, this boat looked right at home… Jim was also pleased to hear that we are carrying on Ken's designs. John Maddox's Biscayne 18 was in the printed program, but not at the show…John is also the President of the Southern California Chapter of the Antique & Classic boat Society . The feeling I left the boat show with that day was gratitude. Gratitude to be part of a company that produces designs worthy to be exhibited alongside the greats. Gratitude that my father saw an opportunity over 50 years ago to create plans and patterns for folks to create their own little piece of history. And humbled that I have the privilege of continuing the Glen-L dream. Consider the building form used to build a small boat as being similar to the foundation of a building. If the foundation for a building is out of kilter or unlevel, problems occur. If the building form used to build a boat is flimsy or out of alignment, problems are compounded. A building form to support the frames, stem and transom during construction is required on most framed boats. 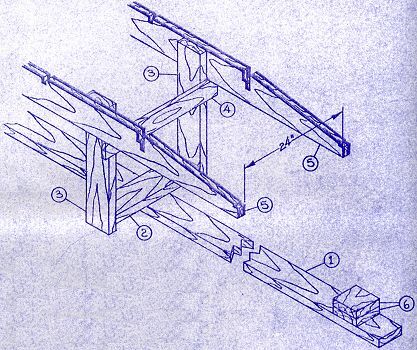 Without some sort of "reference plane" these pieces could not be practically built into a boat. We call this reference plane the "set-up level" and all GLEN-L plans and patterns using framed construction indicate this set-up level. Our plans detail a wooden building form for the design being built with full dimensions and material sizes. In the boatbuilding shop of yesteryear the approved method was to build a flat, level, wooden floor and erect a form on it, all vertical and level to the nice working surface. Wonderful, expensive, lots of work, and not necessary. The most common building form we've developed utilizes two parallel, horizontal, straight 2" "set-up members", supported to the floor or ground with legs. The support legs for the set-up members do not require a flat floor or base. The set-up members must be level but the working area need not be flat. If working on a dirt area posts (legs) may be buried in the ground to support the set-up members. Legs can rest on a concrete floor but must be anchored some way to prevent movement. The building form must be strong and secured in position as you will be pushing, pulling, and pounding every which-way and the framework must not move. If your foundation moves, frames can be thrown out of alignment, the sure basis for future trouble. The drawing shows a typical building form. The various parts of the building form are numbered and are referenced in the following text. The #1 base is anchored to the concrete floor with expansion bolts at each end. The #2 spreaders are fastened to the base and #3 upright legs resting on the floor are attached to the spreaders. The #5 set-up members may be temporary or in the case of inboard powered boat permanent motor stringers. The set-up members are clamped to the legs parallel and level in both directions, then fastened in place supported by #4 athwartship cleats. 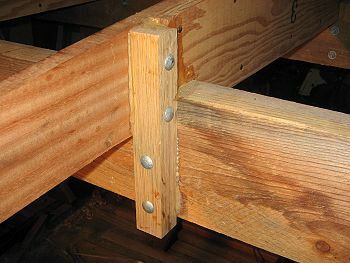 Additional diagonal braces or supports may be required, just be sure the structure is rigid. We like to use a chalk line or wire along the centerline just below the set-up members to center the frames and align the stem. Left in place it's a ready reference to check frame alignment. The frames are mounted on the building form set-up members, spaced per the plans, centered, and vertical. Athwartship cleats atop the set-up members, sided to the frames, can be used to fasten the frames to the set-up members if required. The tip of the stem is referenced from the set-up level, aligned on the centerline and blocked to the base member. Each framework member is then blocked to the form or to one another to prevent movement; all must be aligned and held in place during the entire construction process. Don't forget that the frames and other members must be removed from the building form. Use screws, bolts or double headed nails readily accessible for removal. After the boat is planked we prefer to turn the boat right side up with the building form still fastened to the boat, and right the entire works. Level the boat while resting on forms. Block securely in place and then remove the form. 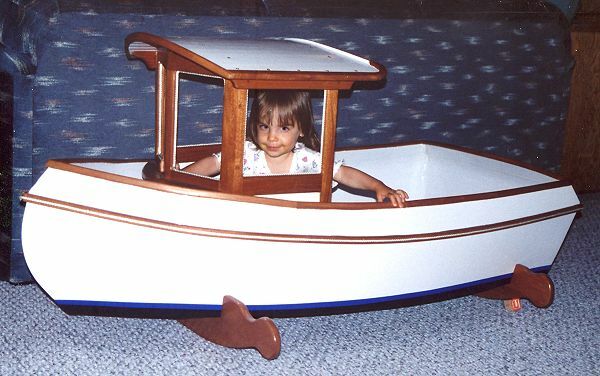 My affinity for boat building began by accident. It all happened when I spotted a magazine called "Build a Wooden Boat". I picked it up and read and reread the article on making a Cedar strip canoe. It just seemed like an attainable goal with the few tools I actually owned at the time. I finished my canoe in 1996 and have been working on boat projects ever since. A couple of years later, I purchased a 23' Fiberglass sailboat from the Mass Maritime Academy and did a complete restoration. What I liked about the boat was that it had lots of teak trim (toerails, companionway and interior) — it also had great lines. Over these same years I did lots of reading and web surfing and set a goal to build a mahogany runabout. I never made the BIG decision directly, but gradually added to the ability to make a boat if I wanted to. It started by adding an oversized, two car garage that has never had a car in it. I am very fortunate that I was able to add 100 AMP service and radiant heat to make year round construction a possibility. Next I got a pickup truck suitable for trailering, you get the idea. Runabout construction officially began November 10th, 2002 with the painting of a 4x8 sheet of Masonite to transfer the frame lines from the patterns. Two weeks later I picked up a load of lumber to really get started. Over the past 4 ½ years I found I get the most work done in the winter months — seems boat building is a winter sport. There has only been one long stretch of three months when zero boat building was accomplished. Our kitchen was 30 years old and really, REALLY needed a complete tear out and refit. I hated losing prime building time, but day to day life is much more pleasant. 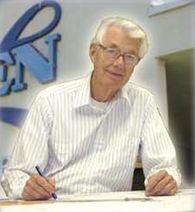 Like all of the Hankinson builders, we felt a bit orphaned by the retirement of Ken. I'm sure I speak for many when I say I'm very pleased that Glen-L has picked up the designs from Ken and our boats will continue to live on. Today I'm in the home stretch — all remaining work is essentially stain, varnish and reassembly. I hope I can get it all completed before the end of this summer and get a few runs in. To this point I have nearly 1300 hours of well documented time into my runabout. Probably have another 100-200 left if I want a really nice finish. Glen-L asked if I could send along my construction album and captions. I've updated the text for the Glen-L site. I hope these images aid you in your project or helping you decide to build. A bit late (23HRS. left at this posting) but, check the pic's to see what one can do. It's Jack Hill's build (I thought I'd posted such last year, maybe not?) up for sale (again?). Despite my love of boats that are sleek and lustrous, I do appreciate that workboats are worthy of praise too. So here is a poem about those sturdy craft. What follows is an article from the Amarillo Globe News, written by Cheryl Berzanskis. A side note to this story is that when I was young, my father thought about building a boat, but we bought a used Chris-Craft kit boat instead. When he was researching building a boat he bought a copy of "Boatbuilding Handbook" and of "Boating Handbook", both dated 1958. I still have those magazines and each has a full page Glen-L advertisement in it. I have had those now for almost 50 years. Every so often builders ask about attaching the frames to motor stringers on inboard boats. Usually there are two options listed: 2" x 2" wood blocking or metal angles. We recently received some great photos from Mark Radanovich showing the wooden blocking. What tools are the average home builder most likely to need? More clamps. a. the phone rings, you answer it. After a short conversation, you look at the pieces that are setting in position with glue and one fastener. You notice that at the sheer the frame is 1/4" out and you adjust it and put in the remaining fasteners. Had the glue started to set? When you moved it, did you affect the subsequent bond? b. Your epoxy mix is off... not enough hardener. It sets up... but, is it as strong as it should be? c. Your epoxy has no fillers added and there is a slight warp in one or both of the two mating boards. Unknown to you, less than half of the joint is actually glued. You asked if the fasteners could be removed... yes, but do you really want to? Before epoxy, we would have said no. But even with epoxy, the designers prefer not to make assumptions about your glue junction. So... yes, but you should be sure of your glue joints. Fantastic story and fantastic designs! For the last nine years we have had running here in little old Nelson, New Zealand, a classic and antique boat show. This year there were around 170 boats of all shapes and sizes and around 4000 people over the 2 days of the show! It was fantastic. We hold it at one of our local lakes, which from the water front you would believe there were no houses as they are all hidden in the trees! There are 2 snow ski fields near by so you can imagine it is well above sea level! In the past we have had visitors from as far away as the USA and Great Britain for the show! I see from your customer photos there are one or two of your designs in New Zealand! There is a Swish running at classic boats with a 1967 Merc 1100ss looking like brand new! I will endeavour to get some photos to you to show you what actually happens over here!! HAHA!! Fantastic web site and in time would love to build one of your designs. I fell upon it purely by chance one evening while emailing a friend about classic boats! Then discovered some 4 hours later, well after mid-night, that I was still admiring the photos of your designs and still was only half way through them. Until next time when I have some photos available. Good selling and look forward to chatting again soon. It has been a long time in the making but she is done. Of course DONE is a relative term. Cabin is not completed, but it makes a nice space to store the floats and other water toys. We have been sailing on Lake Murray a number of times and we love it. We are powered by a 6 HP outboard just to get in and out of dockage. She is stored dry on the trailer, but at the lake. The rigging and sails (we purchased the kit) all performed wonderfully. I’ve already shed 100 pounds of ballast and it still tracks great. What a surrealist feeling sailing around in something that was just a pile of wood a few years ago. We get all kinds of folks who stop to admire her both in and out of the water. What a wonderful experience it was and is. There is no greater feeling, and it's paid for. Thanks to the folks at Glen-L for their help and support. I thank you for your rapid response to my order. I look forward to receiving the plans shortly. I filled out your questionaire as best I could... however, when you asked where I got to learn about Glen-L, I couldn't reply properly. It was, in fact, from an ad that was placed in "Rudder" and that must have been about 1957, 50 years ago. I built 2 boats then, in the UK... Tiny Might, which I powered with a straight drive, clutchless 1500 cc MG sports car marinized engine. It went like the clappers. I recall the feeling of pride and terror as I rev'd her up, because I sat with a leg on each side of an open exposed shaft rotating at over 4000 revs, the right foot operated the throttle. I also built another runabout, which had tail fins... I can't remember it's name off hand, but she is still listed in your catalogue. I was a great ski boat; had a 35 hp Evinrude outboard motor... Wow ...The most powerful outboard in the world at that time. Tail fins were very popular back then on cars like Caddies and Chevys. After emigrating to the Bahamas in 1960, I built a 23' Key West, great boat... lot of fun. Now I intend to build an "8 Ball", stitch and glue, to act as a dingy for my cruiser. She is light and should be no trouble to haul on board. I intend to end my boat building career by building a Monte Carlo barrel back.. I already have the plans, and have begun to buy the materials. I have some beautiful African Mahogany planks; the wood has a most incredible colour. This time I shall, I shall take my time and make records, take photos and so on. Building boats from Glen-L plans is simple and straight forwards. I honestly have never run into a problem, unless it was of my own making. Follow Glen-L's plans and you can't go wrong.